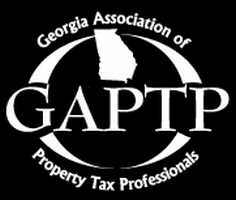 GAPTP is an association of professionals involved in all aspects of property tax management within the state of Georgia. Georgia Association of Property Tax Professionals (GAPTP) was formed to unite members in the profession and to protect the rights of property taxpayers by advancing the professional practice of property tax consulting through education and high ethical standards. As the recognized voice of unified property tax professionals in Georgia, GAPTP complements the profession of property tax management and assists in creating a better understanding and cooperation among members, state agencies and the taxpayers of Georgia. GAPTP encourages the practice of high standards of personal and professional conduct in the industry. It also offers opportunities for the mutual improvement and education of the industry, and collects and disseminates reference information helpful to members. Protect and defend the rights of all classes of property taxpayers in Georgia. Support property tax reform that keeps intact the Georgia Constitutional requirement of fair and equal taxation for all taxpayers. Support constructive changes to the property tax system that insure a user friendly and responsive system.